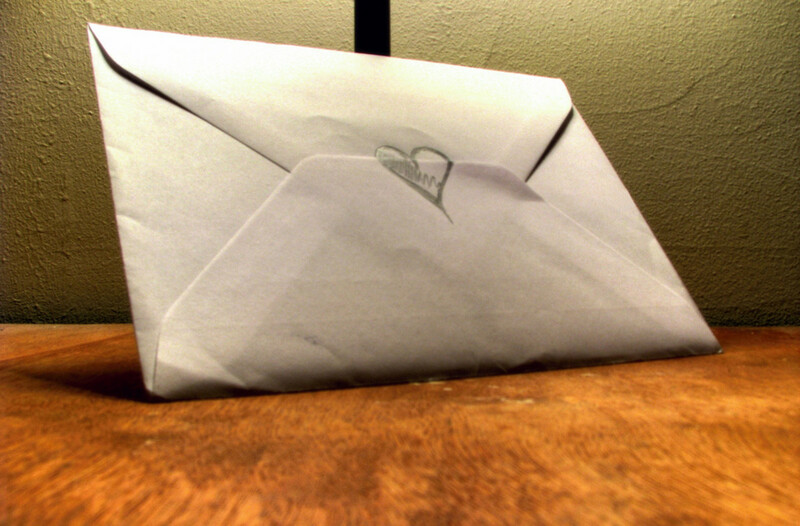 This article is geared toward men who are writing love letters to their wives or girlfriends. If you'd like to read an article for women about how to write articles for their husbands and boyfriends, that article hasn't been written yet. You may, however, wish to read an article about how women can romance their men. Although many people try to deny it, the simple fact remains: Men and Women speak different languages. Certainly not in the literal sense of the expression. We speak the shared language of the culture in which we live. 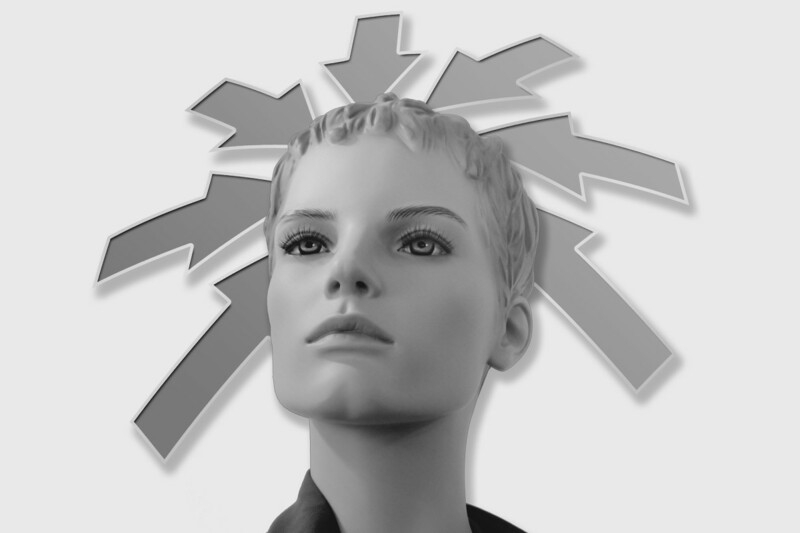 However, the way that we perceive language (both verbal and kinesthetic) differs, often by gender. Whatever the reason for this phenomenon (which isn't up for debate here), culture has shown us that men and women think differently, and that they express and receive information in different ways from one another. While most women seem to believe that men simply aren't romantic, this is because they aren't speaking the same language as their husband or boyfriend. Your job, as a boyfriend or husband, is to learn how to speak your woman's romantic language, and to appeal to it on the right occasions and settings. This sounds much easier than it is. The key to writing a love letter that your wife is going to cherish for years to come is in making sure that you're expressing yourself while also speaking her language. Women have a very specific way of receiving love, and you want to word your letter in a way that helps her to understand the message you're trying to convey. Have you seen Cloudy with a Chance of Meatballs? Flint's father struggles so much with sentimental conversation that he uses fishing (and sardine) metaphors in an attempt to communicate with his son. Flint doesn't speak the same language that his father does, and however loving his father may attempt to be, the message is lost. It takes the monkey thought translator to help him communicate with Flint in a way that allows them to bond with one another. Thankfully, you don't need any kind of translator. A few tips about how to communicate with the women in your life should do the trick! Tell her that you cherish her. Most women will spend their entire lives making up for a gap that's left (often by their fathers or first loves) in their hearts. They may feel that nobody has ever loved them the way that they want to be loved, or they may feel that they aren't beautiful. Perhaps not most, but certainly many women have issues with low-self esteem, and desperately need to be affirmed. Use your love letter to tell your wife or girlfriend everything that you've never been able to say to her face, and say it as though you'll never have another opportunity to say it again. 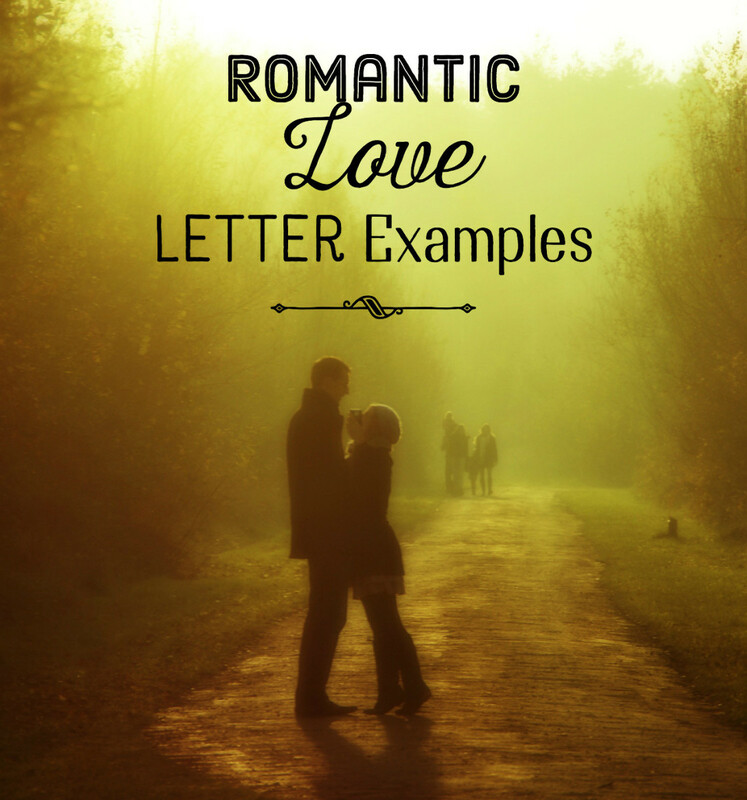 Have you ever written a love letter to your wife or girlfriend before? I don't have a wife or girlfriend. She wants to know she's beautiful. But not just that she's beautiful; She wants to know what it is about her that makes her beautiful in your eyes. Be specific. What is it that makes her beautiful? Make sure that if you're going to name attributes of her personality that you also name some physical attribute(s) as well. Make her feel that she is beautiful on the outside as well as on the inside. She wants to know what you love about her. Your wife or girlfriend wants to know how much you love her, but more important than that, she wants to know what it is (specifically) that you love about her. Is it something she does, the way she wears her hair, the way that you've bonded together? She wants to hear those things. Tell her how much you miss her (if you're separated). Women want to feel that they are cherished and loved, and telling her that you miss her when you're apart is a wonderful way of letting your wife or girlfriend know that she's needed and wanted. It's okay to be sentimental, so pour your heart out and let her know why it is that you'd rather be spending the night next to her rather than wherever it is that you are. Women -- in general -- appreciate sentimentality and emotion. We are emotional creatures and we want to know how much you love us, and how you'd do anything for us. Don't write your wife or girlfriend the letter that you'd like to receive from her: Write her the letter that she'd like to receive from you. Bear in mind that the two of you are speaking two different languages from one another, and that what she hears when you tell her how much you appreciate the things that she does for you, she may hear that you're asking her to do more of those things. Use her language, and the list of tips of what to include above, to write a love letter that your wife will appreciate and cherish. Your goal is to create a simple letter that she will hold onto for years into the future. Turn your cellphone off. Not just vibrate, but turn it off. If you have a land line, consider unplugging it from the wall so that phone calls can't distract you at all. You don't want it ringing. Turn the television off. Don't sit in front of the television to write your letter. Turn it off and find somewhere quiet where you can relax. The same goes for the radio (with the exception of romantic music that will inspire you). Get yourself a drink. Make sure that you have enough to finish with your letter. Don't use getting up to get another drink a distraction from the work before you. If you drink a lot, pour a pitcher of something that you like and have that with you. 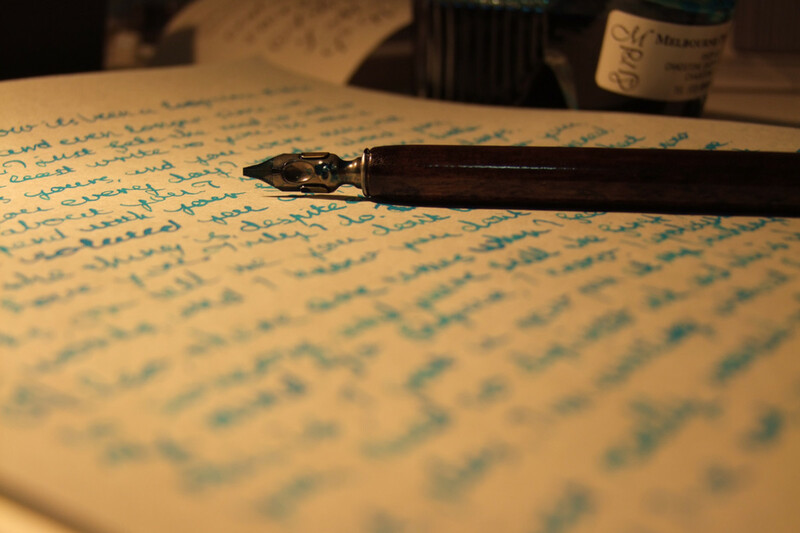 Writer's block is, perhaps, the biggest hurdle that any letter-writer will ever face. Sometime's it's difficult to block out the world and simply write to someone you love, and it can certainly be difficult to avoid writing about something mundane. 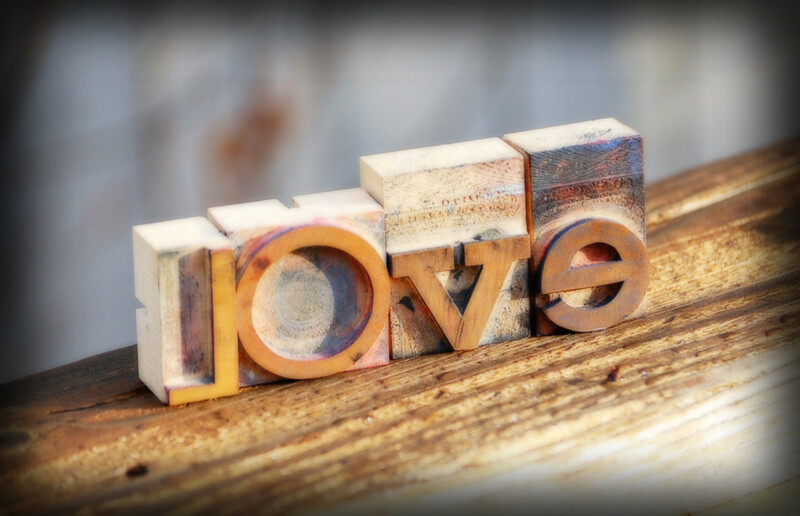 While love letters should certainly be inspired, many writers find it difficult to block out the worries of the world and simply sit down and write. The first thing to look at is your writing environment. Make sure that the area where you're writing is free of distractions. Try using the list to the right to help you to promote a good writing environment for composing your love letter to your wife or girlfriend. Once you've managed to eliminate distractions (using the list of ideas to the right), try jotting down some simple ideas. What makes her beautiful to you? What would it do to you to lose her? Make some notes about your feelings for your wife and work them into words that you believe she'll appreciate. Remember to be sentimental and romantic! She will probably enjoy that quite a bit. Once you have your notes, you can begin composing your letter. Want More Romance in Your Life? If you've enjoyed this article about writing romantic love letters for the woman in your life, you may wish to explore more romantic topics to enhance your relationship. If you're writing a love letter to your woman because you're in a long-distance relationship, you may enjoy reading something about celebrating Valentine's Day in a long-distance relationship. Keeping romance alive in a long-distance relationship can be particularly difficult, and writing love letters is just one way to stay connected to your partner during long separations. For those men trying to show their wife or girlfriend love during a time of low income, it may be helpful to read about celebrating Valentine's Day without spending a dime. These ideas work for any time of the year! Thank you for the great tips and suggestions. I've used this article as motivation to write a letter to an ex-girlfriend who remains the love of my life.